The Starbucks Coffee Customer Loyalty Rewards Program and Birthday Club is an exemplary retail best practices customer loyalty program, which many of the largest U.S. retail and restaurant chains have used as a model when creating their own Customer Loyalty and Birthday Club Programs. As it is with many Starbucks customer-centric practices, changes and improvements to the My Starbucks Rewards programs are on the leading edge of Customer Loyalty. As with any customer loyalty program, in order to achieve the highest level of customer engagement, My Starbucks Rewards members need to understand exactly how to earn members-only freebies, discounts, coupons, deals, and promos. What follows are the features and benefits of the Starbucks Customer Loyalty Rewards Program as of September 30, 2015. The My Starbucks Rewards program is the Customer Loyalty Program after which many retail and restaurant programs are patterned because it employs a level of personalization that has the potential to connect an emotional connection for My Starbucks Rewards, which is one of the most powerful outcomes that any retail customer loyalty program could hope to achieve. By offering Rewards Stars with each purchase at a Starbucks, Evolution Fresh, Teavana, and La Boulange store, members get the feeling that they are being given a little something extra with each purchase. By customizing Bonus Stars offers, customers get the feeling that Starbucks is enhancing their individual customer experience without intrusively monitoring their every move. The free coffee and tea refill for Gold Star Members gives the most active Starbucks repeat customers a reason to walk past local and national restaurant chain competitors which don’t offer free refills to any of its customers on any day for any reason. As with all customer loyalty programs offered in the U.S. restaurant industry, the My Starbucks Rewards Customer Loyalty Program is focused on keeping customers actively engaged with one of the most valuable brands among all U.S. restaurant chains. Given the observable number of My Starbucks Rewards members who are visiting the stores and making purchases regularly, it’s easy to see that the My Starbucks Rewards program is effective at accomplishing its goal of customer engagement and repeat visits. Headquartered in Washington, the Starbucks Coffee Restaurant chain is one of the largest U.S. restaurant companies, which affords loyalty club members the opportunity to be active repeat customers wherever they travel throughout the U.S. This gives an advantage when competing with a wide variety of independent coffee shops and major U.S restaurant chains, like Dunkin’ Donuts and McDonald’s that aggressively market their coffee offerings. 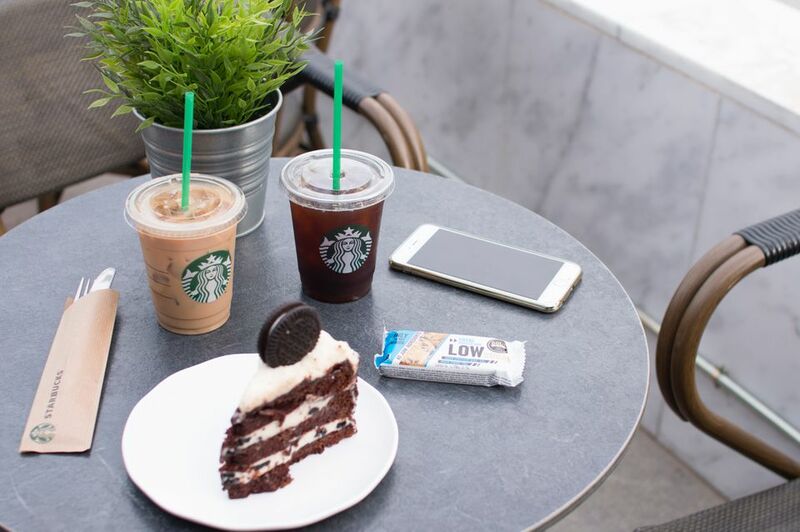 The freebies and discounts offered to My Starbucks Rewards program give members plenty of reasons to choose Starbucks over other coffee shops and fast food chains.